I’m not picky as long as I'm horizontal! French-born, English-raised, and now an Italian by adoption, there aren’t many jobs Edd hasn’t held in his somewhat short but full life; from marketing roles in London to banana plantation work in Australia and experiencing the grueling life of a Michelin kitchen in the heart of Tuscany. 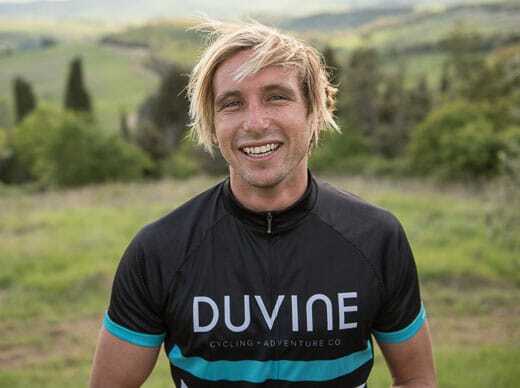 A love for adventure, the outdoors, food, wine, and people—along with biking—could only lead him to working with DuVine. During the winter months, Edd spends his time in Nicaragua leading high-end, tailor-made surf trips.